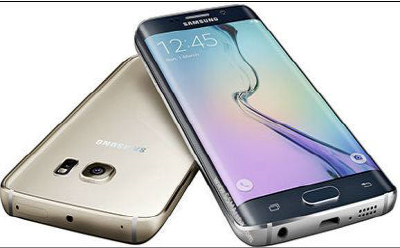 Apple’s ‘iPhone 6’ sales have slightly fallen as Samsung Electronics’ ‘Galaxy S6’ was released. According to ATLAS Research & Consulting on April 20th, iPhone 6·6 Plus’ sales of the second week was over 35000, about 1700 lower than last week’s sales, which was 36726. This is because Galaxy S6 and S6 Edge sales have greatly increased. Nevertheless, some say they are putting up a rather good defense, since the decline is around 5%. 79586 Samsung Galaxy S6·S6 Edge(hereafter ‘Edge’) smartphones were sold in six days, from April 10th to April 15th. This only includes offline sales, so when online sales are added, actual sales may even be larger. First week sales of Galaxy S5, which was released in last year’s March, merely reached about 20000. Compared to this, Galaxy S6·Edge have been sold as four times as much. iPhone 6 Series’ sales have been declining slowly since the end of March. During the third week of March, 65018 were sold, and during the fourth and fifth, 57328 and 48544 were sold respectively. Meanwhile, although the subsidy for ‘Galaxy S6’ was greatly raised last weekend, little effect was shown. According to the industry, 20593 mobile number shifts(excluding 144 in the MVNO) in the mobile communication market were made from the 18th to the 19th, during the second weekend since Galaxy S6 releases. Approximately 37.5% had increased from the last weekend, from the 11th to the 12th, when 15127 shifts were made. It has been pointed out that, considering the fact that mobile communication retail stores and shops did not open on the 12th, there was no big increase. There were 12804 mobile number shifts on the 18th and 7789 on the 19th. Both were smaller figures than that of last weekend’s Saturday(the 11th). As a result, attention has been concentrated on follow-up measures such as the separated payment system 20%, which is to be implemented on the upcoming 24th.